As we’re sure many of you will agree, The Ambleside is one of our most loved holiday homes, and has been for numerous years. When the time came for us to start designing our 2018 collection, we felt that the homely Ambleside deserved a beautiful update. 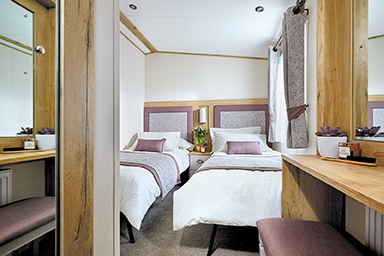 The ABI design team wanted to retain the welcoming feel of the holiday home, that has been at the core of its design since it was first made, whilst adding even more elegance and comfort. Once they were happy with their design, they worked closely with our manufacturing team to ensure it was brought to life with the high standards you expect from ABI. 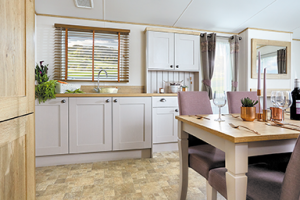 Available in 2 and 3 bed layouts, with the option of upgrading to a Premier Pack, the Ambleside is spacious – with an improved Master bedroom layout. The kitchen has been stylishly upgraded, with a fresh new colour scheme including warm, natural textures and a full height splash back. Modern touches include soft-close doors and drawers, and an integrated oven with a separate 5 burner hob. There is plenty of storage – including a wine rack for those special occasions – meaning dining in will be more tempting than eating out. With a cosy log burner style electric fire, and large comfy sofas, the living room is the perfect place to relax and unwind. The optional Deluxe Bluetooth sound system makes it easy to listen to your favourite music, or watch a film – perfect for those rainy days. 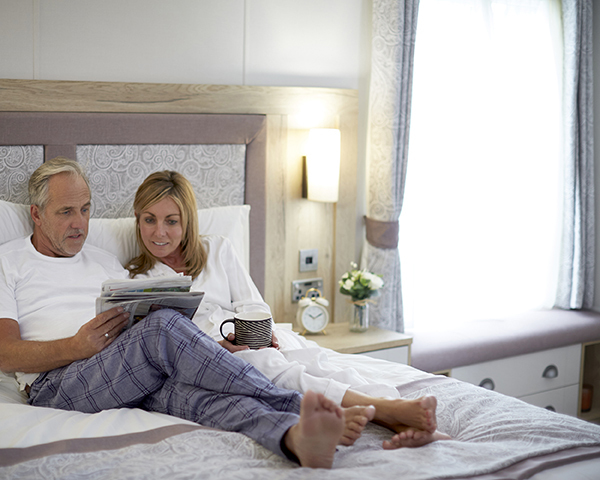 The most important thing to us is helping you make the most of the holiday park lifestyle, or as we call it, the ABI Life. 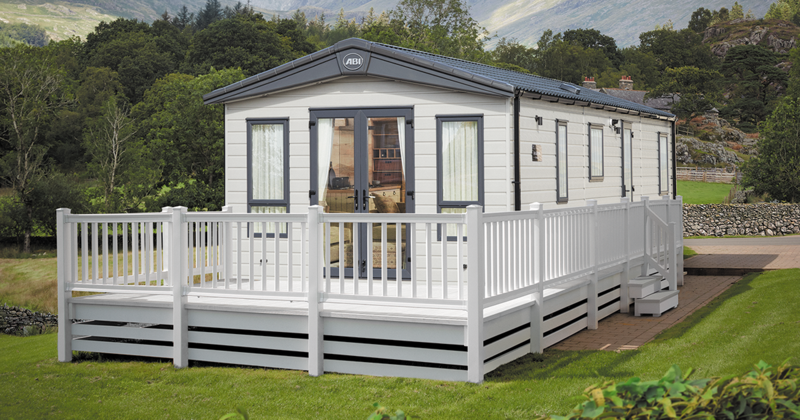 To help us to keep improving your ABI Life, we would love to hear what you think of The Ambleside, and the rest of our 2018 Collection. You can share your thoughts on our Facebook, Twitter and Instagram pages.